The Neuse River cuts a winding and unpredictable path through the Coastal Plain of Eastern North Carolina, not unlike the lives of many youth, adults and their families who are challenged with complex emotional and behavioral diagnoses. 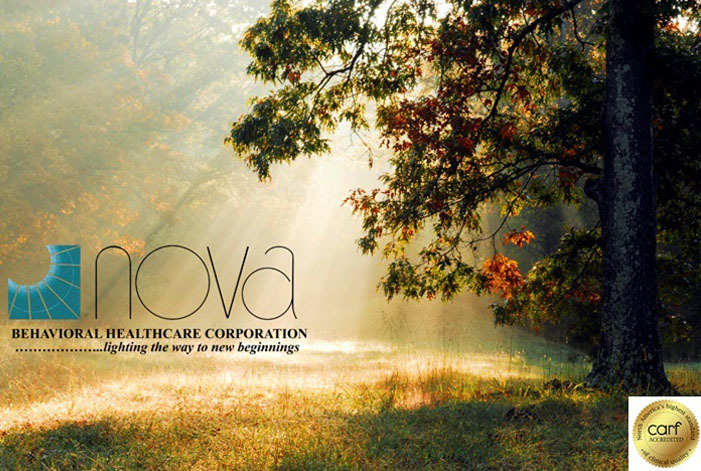 Each day, NOVA’s Joint Commission and CARF Accredited Programs, Treatment Teams and Professionals support our Consumers in addressing their unique challenges through Clinical expertise and sophistication, Evidence-based and Best Practices and a treatment mileu that promotes Resiliency, Capability and Individuality. The Dr. John E. Ford Treatment Center provides PRTF Services for children and adolescents. NOVA’s specialized ICF/MR program serves adults with dual diagnoses (ID/MI). Our Community Behavioral Health Services (CABHA) provides Medication Management, Comprehensive Clinical Assessments, Outpatient Treatment, Day Treatment and Intensive In-Home Services for children and adolescents.